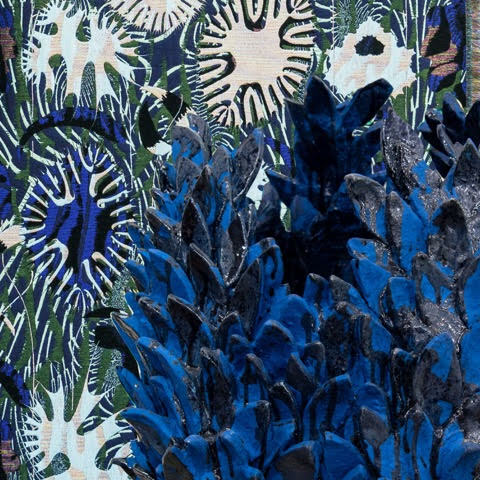 First Symptoms is the new cycle of six woven tapestries by Kustaa Saksi, mixed media in silk, mohair, rubberized cotton, cashmere wool, transparent polyester and velvet, combined with Bela Silva’s baroque ceramics. Saksi suffers from migraine and uses his symptoms as a way to overcome pain and search for beauty and meaning in life, whereas Bela Silva creates her own world of fantasies by working from many cultural influences and references to achieve her expressive and narrative large-scale glazed sculptures. Spazio Nobile (est. 2016) is dedicated to both rising and established talents, without creating borders between the disciplines, the visual arts dialoguing with the fine arts.